The Thar is a region of rolling sand dunes, plains and hills, lying across two countries and four states of the South Asian subcontinent. This vast arid land, now considered one of the harshest climates in the world, was once home to the great civilizations of Mohen jo Daro and Harappa. Thar Foundation has been established as a Section 42 company under the Companies Act, 2017 to improve quality of life of people of Tharparkar through sustainable development initiatives. Thar Foundation aims to implement the Sustainable Development Goals (SDGS) framework and develop Islamkot into a model tehsil. Prioritized goals under the SDG framework are the Thar Foundation’s focus as compliance to these goals will ultimately lead the Foundation to its final goal - end poverty, protect the people of Thar and bring peace and prosperity into the region. As part of our prioritized goals, Thar Foundation will be focusing on the following areas. 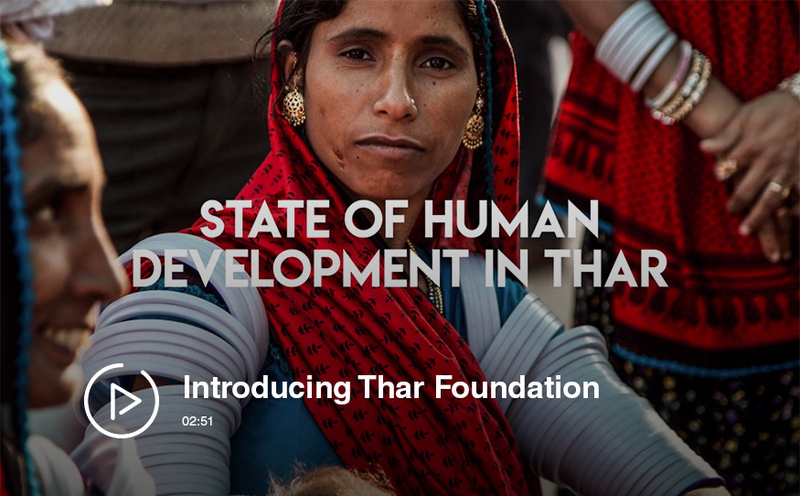 While SDG14 and SDG16 are not relevant to the landscape of Thar and the scope of Thar Foundation, the Foundation continues to advocate their achievement through support of other organizations. The value of life is not in its duration, but in its donation. ©Tharfoundation 2019 All right reserved.